So last Thursday after a long day at uni I came home and my brother gave me a Pandora bag and said Happy Birthday. I was a bit confused as my birthday was two weeks ago but I my brother isn't really on to it with gifts and usually leaves it till the last minute so I was surprised when he gave it to me. 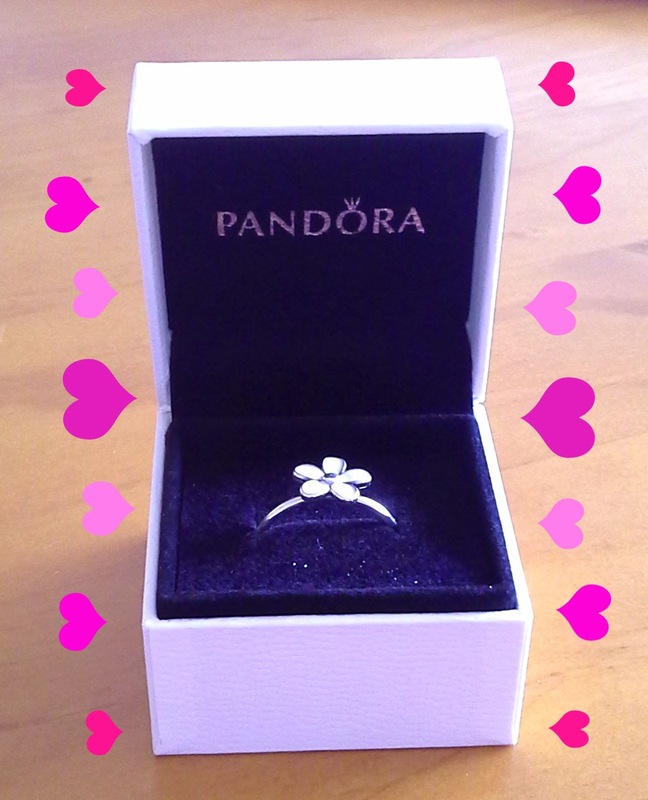 I first I thought it would have been another Pandora charm as my parents got me a bracelet for my birthday but I was delighted when I saw it was a ring. As you can see it's a daisy ring. I'm not usually fond of jewellery with any kind of flowers on them, but I think this one is really cute and simple and I can wear it anywhere, anytime. This is the Pandora bracelet I got from my parents. 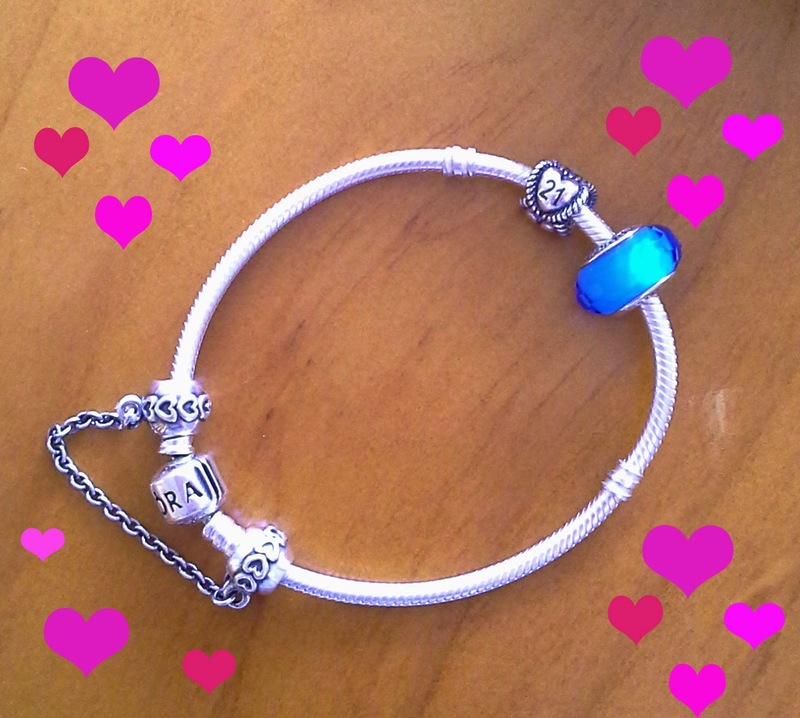 The 21st charm is from them and the big blue one is from my aunt and uncle.